Black Lightning will be back on the CW this October! 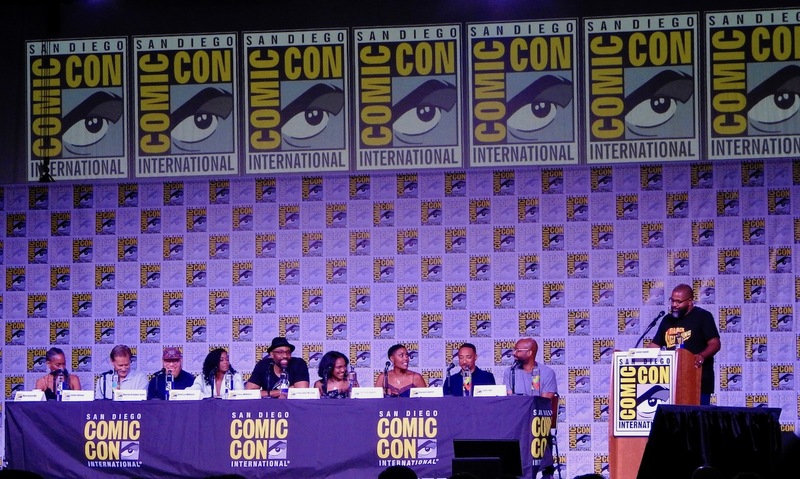 At SDCC, we talked to the cast and producers about what to expect for season two! Take a look at our interviews below! We have awesome news for Black Lightning fans! Season two will premiere October 9 at 9/8c on The CW! On top of that, we got another big announcement came that Jordan Calloway would be upped to a series regular! He plays Khalil Payne, aka Painkiller, and Jennifer Pierce’s ex-boyfriend! WSN had the incredible opportunity to sit down with the cast and producers of the show at SDCC 2018 and we talked about season two, representation on screen, and how the family dynamics will change as the Pierce family adjusts to a new normal. Marvin Jones focused on how his character (Tobias Whale) isn’t interested in taking orders from anyone. He’ll listen, but he’s not the type to bend to anyone’s will. Damon Gupton and James Remar talked with us about their characters relationship with the Pierce family and the secrets that still haven’t been revealed. Would Henderson be able to forgive Jefferson for lying all these years? Does Gambi have any more secrets up his sleeves? The Pierce family has undergone some major changes since we saw them in the first episode of the series. What does this mean for them moving forward? China Anne McClain and Nafessa Williams discuss their sisterly bond and how their characters change this season. Cress Williams and Christine Adams discussed the value of representation on screen and the chemistry between Jefferson and Lynn. It’s electrifying! Warner Bros. included a recap of season one to get you pumped for season two as well! We know that we’re super excited for season two! What are you most looking forward to next season?